The Niger Delta is Africa’s most important oil-producing region, and one of the most polluted places on earth. For decades oil spills have been damaging the environment and devastating lives in this part of Nigeria. Shell and Eni, two of the biggest corporations working in the Niger Delta, say that most oil spills are caused by sabotage and theft, and they are doing all they can to prevent spills and then clean them up afterwards. . But these claims are often based on unreliable information. In 2008 and 2009, two massive oil spills in the fishing town of Bodo had a catastrophic impact. Thick black oil leaked into rivers and creeks for weeks, killing fish and robbing people of their livelihoods. Shell, the operator of the leaking pipelines, repeatedly understated the volume of oil spilled – and offered the community only a paltry amount of compensation ($4000). With the help of Amnesty International, the Bodo community took legal action. Shell admitted it had made false statements about the size of the spills and settled out of court, paying the community £55 million in compensation. We wanted to help other communities get justice too, but we knew we couldn’t trust the oil companies’ version of events. We needed to look through all the spill reports provided by oil companies and compare them with pictures of the pipelines, to understand what was really happening in the Niger Delta. But we had a problem: there were thousands of documents and images, far too many even for Amnesty’s dedicated researchers to look through. This is where Amnesty Decoders come in. The Decoders make up an online community of human rights volunteers, who help our researchers sift through large databanks of pictures, documents and other information. Decoders help us build the evidence we need to hold human rights abusers to account. Anybody with a smartphone or a computer can be a Decoder. We put out a call to the Decoders for help, and an incredible 3,545 people, from 142 countries, responded. We're asking decoders to help us tackle online violence and abuse against women. Women all over the world are being silenced online by bullies and trolls, and social media companies are not doing enough to protect them. Think you could be a decoder? Decoders answered 163,063 questions, relating to thousands of reports and photographs produced by companies in relation to oil spills. This took them 1,300 hours - the equivalent of someone working full-time for 8 months. 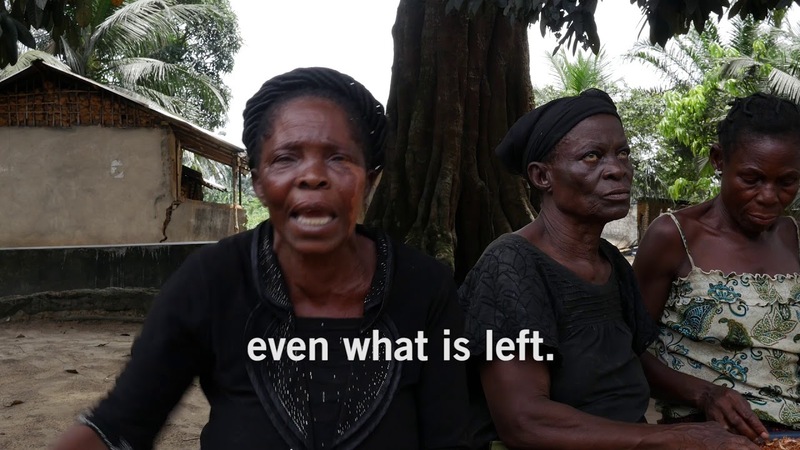 Every minute went towards helping Niger Delta communities uncover the truth. Data gathered by Amnesty International’s decoders reveals the extraordinary scale of oil pollution in the Niger Delta, and the high frequency of spills. Since 2014 Eni has reported 820 spills in the Niger Delta, with 26,286 barrels or 4.1 million litres lost. Since 2011, Shell has reported 1,010 spills, with 110,535 barrels or 17.5 million litres lost. That’s about seven Olympic swimming pools. These are huge numbers, but the reality may be even worse. The companies’ figures are vastly different to those of the Nigerian government, which recorded 1369 Shell spills and 1659 ENI spills in the same timeframes. The spill volumes are also likely to be inaccurate as our research has shown how the companies underestimate the real amount. Eni said this leak was caused by criminals drilling into the pipe. But close examination by decoders showed that the holes are on the underside of the pipe, which was buried underground. How would a person with a drill have accessed it? Decoders also noted that the holes in the pipeline are not neat and regular, as they would be if they’d been drilled. In fact, the holes look much more like they are caused by corrosion. In total, the Decoders identified 89 spills, in which the photographs published by the companies did not appear to support the claim that they were caused by sabotage. Why does this matter? Because blaming the spill on theft means the company doesn’t have to pay any compensation. Thanks to the Decoders’ detective work we have sent details of these 89 spills to the Nigerian government and asked them to reopen investigations. WHAT WOULD YOU DO IF SOMEONE DUMPED 9 OLYMPIC SWIMMING POOLS OF OIL INTO YOUR COMMUNITY? hours were contributed from Amnesty decoders. Companies have a responsibility to respond to spills regardless of their cause. The sooner they visit the site, the quicker they can stop the leak and begin cleaning the area – government guidelines say they should visit within 24 hours. We asked Decoders to analyse the time it takes between companies reporting a spill to the authorities and them organising a visit to the site. They found massive delays, with some spills continuing for months after they were reported. Shell visited the site within 24 hours of a spill occurring on just 26% of occasions, and eight of the worst response times recorded were Shell. But the slowest time was recorded when Eni took 430 days to respond to a spill in Bayelsa State. For more than a year, oil leaked out of the pipeline into nearby swampland and rivers, contaminating the water people drink and wash with. These delays point to serious negligence. Shell and Eni are wealthy, powerful multinationals: why can’t they act faster? Why can’t they do more? Decoders have helped us uncover evidence of serious negligence by oil companies. We’re presenting this data to Shell and Eni, and the Nigerian government, and calling for better regulation. We also want them to investigate why companies don’t seem to be able to tackle and prevent oil theft, and why repeated incidents of sabotage seem to happen right under their noses. Global solidarity is empowering Niger Delta communities to get justice.